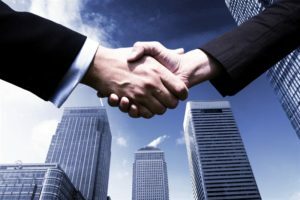 At Verification Services Inc. we understand that hiring the right person for your company is of the utmost importance. Obtaining a comprehensive background report will limit the liability associated with hiring the wrong candidate. Our verifications are completed between one to three days. We are thorough and cost effective, and most importantly we will ensure that you have the most comprehensive information about your potential new hire. At VSI, our first step to finding an applicant’s criminal history is to conduct a full social security number (SSN) and address verification and trace to determine all locations associated with that applicant – even those not disclosed. Once all locations are determined, we check specific records for each and every location for which the applicant has been associated. With a variety of criminal repositories, and different levels of crime in our country, finding an applicant’s criminal history is an extensive and complex process. VSI always checks for felony and misdemeanor records at every level of service requested. County criminal records provide misdemeanor and felony offenses that occurred in the specific county. County records typically contain more current results than state records. Information reflected in a county record can sometimes take weeks or even months to appear in a state record. Crimes reported can include felony, misdemeanor, and traffic violations. With over 1,000 researchers nationwide, VSI conducts “in person” courthouse research for best results! 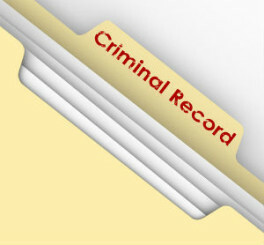 State criminal records check all counties within the state. In many cases, state records are not as detailed as the county records. When an arrest is reported, the details of that arrest, such as the disposition, might still need to be obtained at the county level. Crimes reported may include felony, misdemeanor, and traffic violations. VSI conducts Statewide record searches directly through the State repositories. Our Federal Court system is composed of 13 circuit courts. These circuit courts maintain their own records and the information in one district is usually not mixed with records in another district. When a federal search is requested, you will receive records from the federal district that is specified – not records nationwide. Federal crimes are distinct from crimes that would appear on a county or state record. Federal crimes involve breaking federal laws; such as kidnapping, counterfeiting, embezzlement, drug trafficking, or crimes committed across state lines as examples. The Office of Foreign Assets Control (OFAC) and Global Sanctions is an agency of the United States Department of the Treasury. The Bureau of Industry and Security (BIS) is an agency of the United States Department of Commerce. Most companies may not want to hire a candidate with criminal activity involving intentional injury or loss to a person or property for specific jobs. Additionally, companies may not want to hire an applicant convicted of a crime involving endangerment of others while under the influence of alcohol or other substances; nor, any pending criminal deferred adjudications with respect to the above. Most companies may not want to hire anyone who is convicted of a felony for specific jobs. Be Consistent: Have clear company policies in place for hiring. It is important to note that if an applicant is not adjudicated guilty, you cannot deny employment based on the non-conviction. For applicants earning $75,000 or less you may only base your hiring decision on information within the last seven years. As an example, if an applicant was convicted of a crime twenty years ago, spent fifteen years in jail, and has completed their sentence, that crime would fall into the seven year window and you may deny employment based on this information if it is consistent with your policy for this position. Let VSI help you make the best hiring decisions for your company!